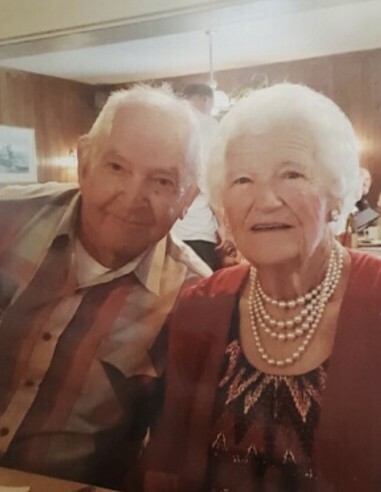 Leona D. Kreiser, 86, of Tonica died unexpectedly at home on March 27, 2019. Funeral services will be 3:00 PM Saturday in the Hurst Funeral Home in Tonica with Rev. Deepet Holcar, Pastor of Tonica United Methodist Church in Tonica, officiating. Burial will be in Fairview Cemetery in Tonica. Visitation will be in the funeral home on Saturday from 1:00 PM until time of service. Mrs. Kreiser was born in rural Streator on January 17, 1933 to Joseph and Bertha (Monts) Cave. She married Harry Kreiser in Streator on June 24, 1961. She was a 1954 graduate of Illinois State University. Mrs. Kreiser was a second grade schoolteacher at Minonk Elementary School for eight years. She enjoyed baking, cooking, canning, gardening, and tending to her flowers. The love of her life was being a wife, mother, and grandmother. Mrs. Kreiser is survived by her husband Harry of Tonica; three children: Ron (Jessica) Kreiser of Minonk, Connie (Scott) Lauer of Tonica, and Randy Kreiser of Streator; seven grandchildren: Amy (Jared) Bell, Robert (Morgan) Kreiser, Sarah (Josh) Angelos, Austin (Sara Gray) Stremlau, Stephen (Katie) Lauer, Cory (Summer Studstill) Lauer, and Abbey Lauer; three great grandchildren: Maddux, Eli, and Cora; one sister Rose Cave of Altamont; and one brother Robert Cave of Streator. She was preceded in death by her parents; four brothers Ralph, Roy, Ray, and Sherman Cave; and two sisters Mabel Whalen and Bertha Cave.